Sheikh Hasina University, Netrokona Undergraduate Admission Test Circular 2018-2019 has been published. PSheikh Hasina University, Netrokona Undergraduate Admission Test Circular 2018-2019 will be the beginning date 05/12/2018 to 18/12/2018. Sheikh Hasina University, Netrokona Admission Test Circular 2018-2019 and Admission related all information will be found in University of Chittagong Admission Official website at http://shubd.net/. 1. Please prepare A recently taken passport size color photograph (approximately 300x350 pixel and maximum 75 KB size) and the signature (either scanned or photographed, approximately 300x80 pixel and maximum 20 KB size) shall have to be uploaded (JPG format) at the appropriate place of the submission form. 2. Visit: http://shubd.net/ click 'Apply Online' or http://shu.bigmsoft.com/ and fill up application form carefully. 3. Applicant SSC and HSC Roll, Board Name, Passing Year and Registration Number Input. 4. Print the application form and note down the biller ID. 5. Complete the payment in DBBL mobile Banking and bCash Account. After complete the payment successfully reserved the transaction ID and visit http://shubd.net/ put your appliaction ID and Transaction ID and submit and dwonload your admit card. Sheikh Hasina University, Netrokona authority will published Admit Card. Every Eligible Candidates candidate you can download http://shubd.net/ login by clicking the link “Download Admit Card”. Student must then print 2 copies this admit card on A4 size offset (80 gsm) white paper and keep it safe. A candidate shall not be allowed to enter into the examination hall without an Admit Card. Sheikh Hasina University, Netrokona Test admission authority will published http://shubd.net/ . Sheikh Hasina University, Netrokona Admission Test Result will published PUST official website http://shubd.net/ Every student search their admission Test Roll Number. Sheikh Hasina University, Netrokona Admission Test Waiting list Result will published PUST official website http://shubd.net/ Every student search their admission Test Roll Number. Tags: www.shubd.net, www shubd net, Pabna University of Science & Technology (PUST) undergraduate Admission circular 2018-2019, Sheikh Hasina University, Netrokona undergraduate Admission Test Result 2019, Sheikh Hasina University, Netrokona undergraduate Admission waiting list Result 2018-2019, Sheikh Hasina University, Netrokona Admission Circular 2018-2019, Sheikh Hasina University, Netrokona Admission Notice 2018-2019, Sheikh Hasina University, Netrokona Admit Card Download, Sheikh Hasina University, Netrokona Seat Plan, Sheikh Hasina University, Netrokona Admission Mark Distribution 2018-2019, Sheikh Hasina University, Netrokona Admission Mark Distribution and Sylabas 2018-2019, Sheikh Hasina University, Netrokona Admission Mark Distribution 2018-2019 Mark Distribution, Sheikh Hasina University, Netrokona Admission Test Result 2018-2019, Sheikh Hasina University, Netrokona Undergraduate Online Application 2018-2019. 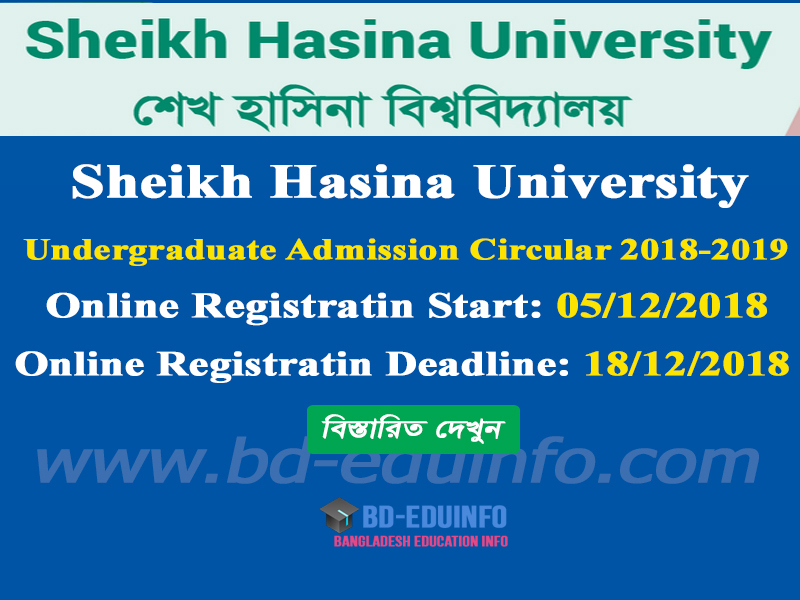 Sheikh Hasina University, Netrokona undergraduate Admission Admit Card Download 2018-2019.
www.shubd.net, www shubd net, Pabna University of Science & Technology (PUST) undergraduate Admission circular 2018-2019, Sheikh Hasina University, Netrokona undergraduate Admission Test Result 2019, Sheikh Hasina University, Netrokona undergraduate Admission waiting list Result 2018-2019, Sheikh Hasina University, Netrokona Admission Circular 2018-2019, Sheikh Hasina University, Netrokona Admission Notice 2018-2019, Sheikh Hasina University, Netrokona Admit Card Download, Sheikh Hasina University, Netrokona Seat Plan, Sheikh Hasina University, Netrokona Admission Mark Distribution 2018-2019, Sheikh Hasina University, Netrokona Admission Mark Distribution and Sylabas 2018-2019, Sheikh Hasina University, Netrokona Admission Mark Distribution 2018-2019 Mark Distribution, Sheikh Hasina University, Netrokona Admission Test Result 2018-2019, Sheikh Hasina University, Netrokona Undergraduate Online Application 2018-2019. Sheikh Hasina University, Netrokona undergraduate Admission Admit Card Download 2018-2019.